Once you’ve made classic white sauce, try this easy variation with fresh parsley. 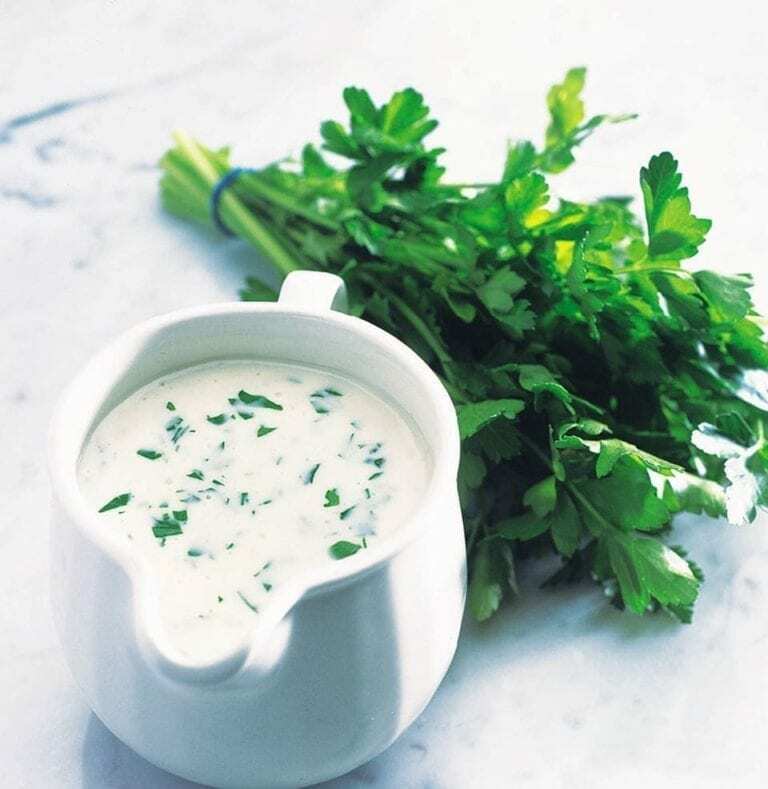 Chop the parsley – somewhere between roughly and finely – and add to the finished sauce (see classic white sauce recipe). The rule of thumb here is to make sure the parsley is very fresh, as it really does make all the difference to the finished sauce. My preference is for flatleaf but you can certainly use curly parsley.